For other uses, see Marathos. Marathos is a small Greek Island in the Aegean sea. It is east of Patmos island and west of Arkoi island. It is part of the Dodecanese archipelago. 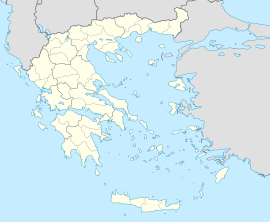 This South Aegean location article is a stub. You can help Wikipedia by expanding it. This page was last edited on 1 June 2017, at 14:19 (UTC).